The changing lifestyle and the fast paced working environment ruin our efforts to stay organized. Several interactions and piles of data exchange leaves us in the dilemma of what to organize, how to access and how to complete the task. To address these issues the Simple Todo app has been developed. 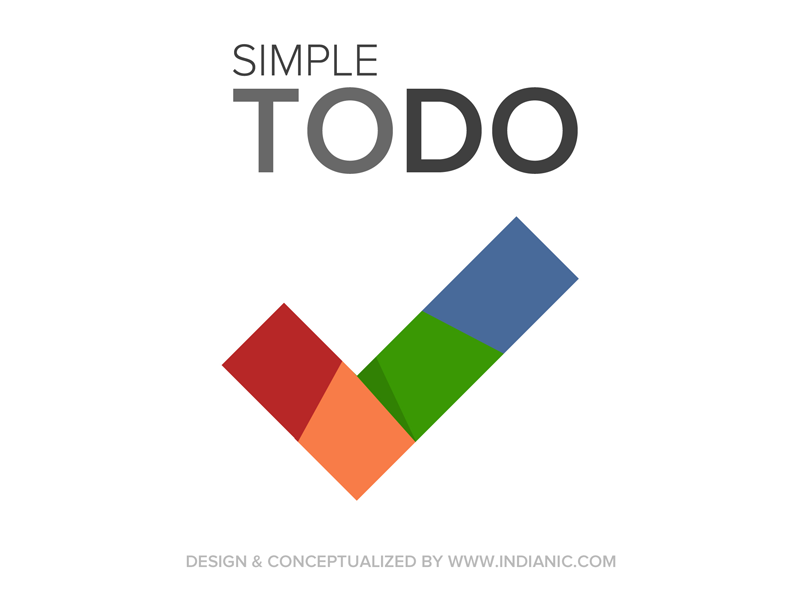 Simple Todo is a robust application that supports our efforts of staying organized. It helps us to strike a perfect balance between personal and professional life. The application helps you to rid your life from discomforting mess and keep up with the daily tasks irrespective of the number of disruptions. Simple Todo app is the most modern invention that has acquired the center stage. It has the best features that allow you to prioritize and organize tasks. There are multiple attributes of this application that qualifies it as a helpful tool for prioritizing the tasks and completing them in a logical order. The application is stunningly simple but powerful. A smooth navigation coupled with captivating interface makes it a valuable addition in your smartphone. You can take advantage of the application to store ideas, thoughts, daily tasks and priorities. The application also allows you to fragment the stored information in a different list of Today, Tomorrow, This Week, View All, Just To Me and Even Later. In addition, you can also personalize settings of the app with priorities and password. Following are the notable features of the app that helps you to stay organized. The app is simple but does not ignore important features. Within few taps you can add tasks, create reminders, categorize and set priorities. When tasks with specific deadlines are hovering over your mind, you can add reminders based on the time and location. The application works with iOS 6 and iOS 7. The concept of having a right application in your mobile device can significantly reflect your efforts to stay sturdy and organized. It makes a lot of sense to have the Simple Todo app in your iOS device. This application will not only organize your daily tasks, but also push you to accomplish tasks on a specified day and time. So, stay up to date by eradicating hurdles that limits your work efficiency.